In Art Glass > French Art Glass > Show & Tell and Art Glass > Lalique Art Glass > Show & Tell. 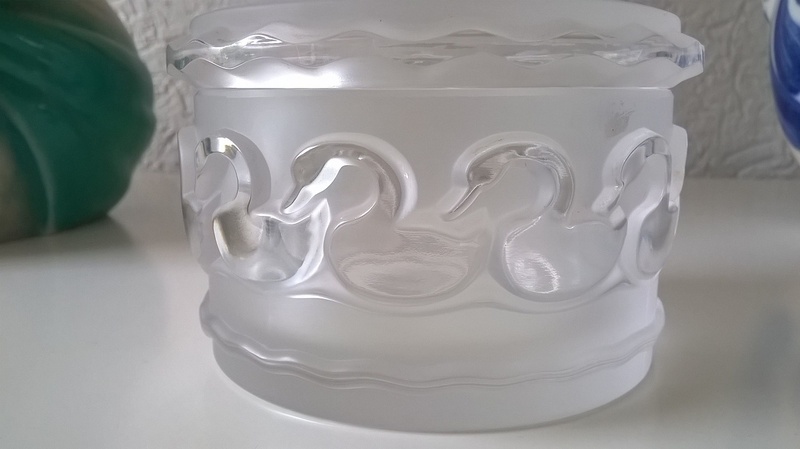 I always joke around with friends that I have never found a piece of Lalique in the thrift shops. 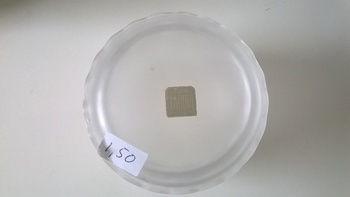 Still with the foil label. 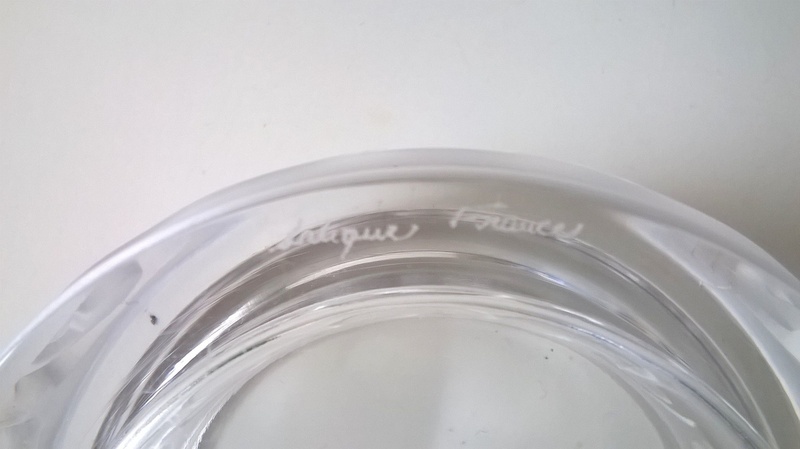 Signed "Lalique France". A little wear on the bottom and a teeny tiny flea bite near the edge of the lip. I have set the bar a bit higher now - find a piece of crystal that is signed "R. Lalique". 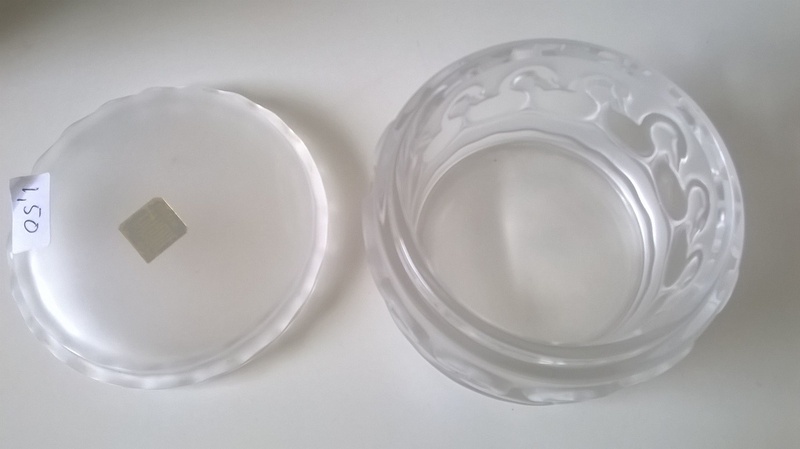 Lalique, top of the line!